The cultural and financial epicenter of the Pacific Northwest, Seattle is filled with amazing locations for your wedding photography session! Begin your photo shoot in downtown Seattle at the luxurious Sorrento Hotel. Have your wedding photographer capture a romantic photo of the bride and groom beside the fountain in the front courtyard. Feel free to play around with the luggage carts and create some fun-filled photos of the bridal party! Your photographer can then take some laidback photos as you and your bridal party lounge around in the charming lobby. You’ll have a blast during your photo shoot at this first-class Seattle hotel! Your next stop for your wedding photography session in downtown Seattle is the famous Space Needle! As you ascend by elevator to the top of this 605-ft-tall landmark, your wedding photographer can capture all the excitement (and a bit of the anxiety, as well!). Once you reach the to the observation deck, you will have the most gorgeous panoramic view of the Seattle skyline to use as a photo backdrop. In addition to downtown Seattle, the observation deck also provides breathtaking views of the Cascade Mountains, Mount Rainier, Elliot Bay, and much more! Having finished at the Space Needle, head over to your final destination - Myrtle Edwards Park. Only a short limousine ride away from all the hustle and bustle of downtown Seattle, this gorgeous park contains long, winding trails, cozy benches, and a great view of the Elliot Bay waterfront. Don’t forget to stop by park’s the recently constructed modern footbridge, where your wedding photographer can take some fun group photos, as well as a private portrait of the bride and groom. You’ll have an amazing time during your wedding photography session in downtown Seattle! 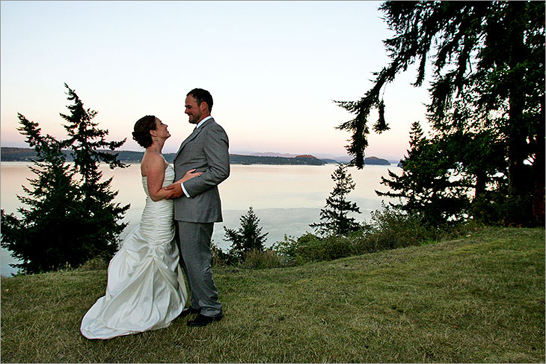 For the couple that loves the outdoors, Seattle offers some of the most renowned and scenic natural landmarks in the Pacific Northwest. Start off by exploring the Washington Park Arboretum, one Seattle’s most popular attractions for tourists and locals, alike. Have your wedding photographer capture some candid moments as the bridal party takes a leisurely stroll through the botanical garden. The arboretum also contains a number of miniature bridges, overlooking various ponds, lakes, marshes, that will provide the perfect setting for an photo of the happy couple. Take a tour through the Japanese Garden, located at the southwestern corner of the arboretum, and have your wedding photographer create some beautiful photos of the bride and groom, with the garden’s tranquil pond serving as a backdrop. Just minutes from the arboretum, you’ll find Madison Park, an intimate little park right by the Lake Washington waterfront. Located in one of Seattle’s most charming neighborhoods, this cozy, secluded park is a great place to continue your wedding photography session. 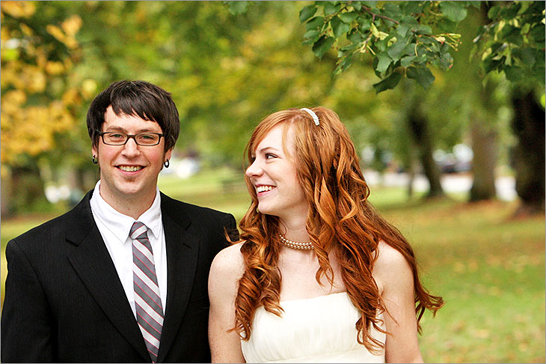 Have your wedding photographer assemble the bridal party on the lush, green grass for a lovely group photo. 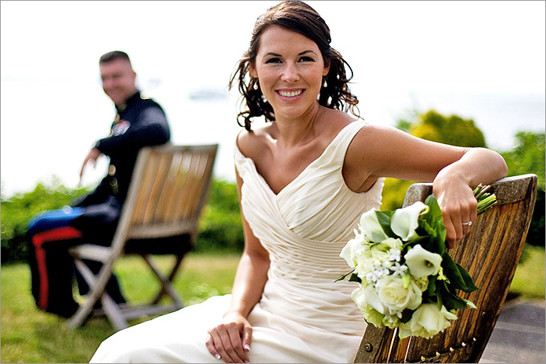 Afterward, the wedding photographer can capture the bride and groom’s most personal moments while they relax on one of the benches near the water. And if some of the members of your bridal party are feeling particularly adventurous, they can feel free to get their feet wet as your photographer documents all the fun (we recommend that the bride play spectator for these photos). The University of Washington is one of the oldest public universities on the entire West Coast and contains some of Seattle’s most picturesque locations. The first part of the campus you’ll want to visit is the beautiful Quad area. The combination of brick walkways, verdant lawns, and seemingly endless Cherry Blossom trees creates a wonderful setting for your wedding photos. Afterward, visit the magnificent Gothic-style Suzzallo Library, where you can take photos on the front steps or anywhere along the Red Square, located in the foreground of the building. Head over to the Sylvan Theater, a tree-enclosed hideout containing a huge green lawn and towering Corinthian columns. Take a short walk over to Denny Hall, the university’s oldest standing structure, whose stunning French Renaissance architecture will take your breath away. Finally, visit Frosh Pond, in the center of which you’ll find the glimmering Drumheller Fountain. This sparkling setting will be perfect for both group and individual photos. These are just a few of the spectacular sites you’ll see during your wedding photography session at the University of Washington!